Floyd Wendell (Wen) Williams passed away on Monday, January 22 in Athens. Wen was born February 2, 1931, to James Floyd Williams and Mattie Butcher Williams of Keeling, Virginia. He grew up in Keeling, and after attending high school there, he attended Virginia Tech where he received a B.S. 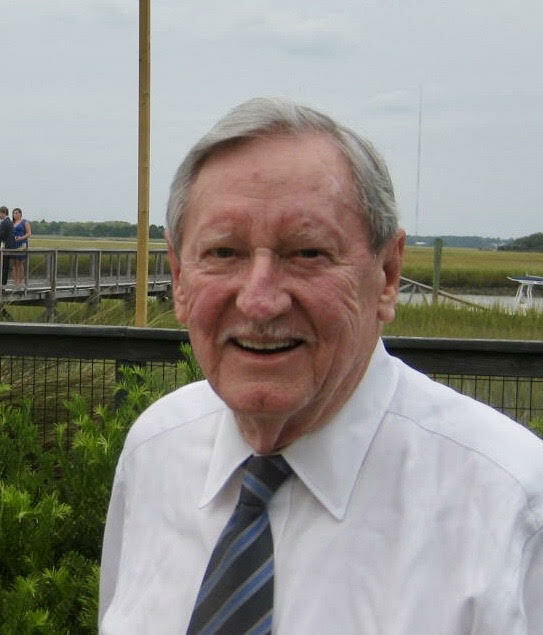 degree in Agricultural Economics while serving in the Cadet Corp. After completing college in 1952, Wen joined the Virginia Agricultural Extension Service as a county agent. In 1954, Wen was commissioned as a Communications Officer in the US Air Force where he served as a Lieutenant until 1956. After leaving active duty, Wen obtained a Masters in Agricultural Economics from Virginia Tech in 1957 and a Ph.D in Agricultural Economics from the University of Florida in 1961. He served as an Economist at the University of Florida, the U.S. Department of Agriculture and the Florida Citrus Commission until 1968 when he moved to Athens, GA as Associate Professor of Agricultural Economics at the University of Georgia. During his career at Georgia, Wen was awarded numerous teaching awards, recognized in seven different years as one of the outstanding teachers in the College of Agriculture and Environmental Science. Other awards included the Gamma Sigma Delta Distinguished Teaching Award, Alumni Association Distinguished Faculty Award, Golden Key Honorary membership for Teaching Excellence, Outstanding Faculty Award from the Agricultural Economics Association of Georgia, the D.W. Brooks Award for Excellence in Teaching, The Distinguished Service Award, Ag Hill Council and many others. While at the University of Georgia, he served or chaired CAES and UGA committees for Student Affairs, Scholarship, Faculty Relations, Promotion and Tenure, and Curriculum. He led international development and project feasibility programs in El Salvador and Mexico and developed faculty and student exchange programs in England, Honduras, Panama and Guatemala. He helped establish the first graduate degree programs in Agribusiness Management and Environmental Management at the Georgian Academy of Science, Republic of Georgia. He was appointed Associated Director of Resident Instruction in 1985 and served as Associate Dean for Academic Affairs for the College of Agriculture and Environmental Sciences from 1993 through his retirement in 1997. Wen continued to serve in the US Air Force Reserve throughout his professional career, retiring with the rank of Colonel in 1985. Wen was active in the Athens Lions Club, Recording for the Blind, and was a patron of Classic Center Foundation, the Athens Symphony Orchestra and UGA Gymnastics. Wen married Betty Lou Carrico in Blacksburg, Va., on December 20, 1952. He is survived by his son, Dale Williams, and daughter-in-law, Sabrina Young Williams, of Kiawah Island, S.C.; daughter, Dana Williams, of Bozeman, Mont. ; granddaughter, Lindsey Williams Drath, grandson-in-law, Ethan Drath, and great-grandchildren Elizabeth, Sawyer and Sabrina Drath of Washington, D.C.; granddaughter, Whitney Williams Cole, and grandson-in-law, Charles T Cole III, great-grandchildren Matilda, Louisa and Charles T Cole IV of Charleston, S.C.; grandson, Cameron Williams and granddaughter-in-law Julia Williams of Richmond, VA; and grandson, Kenneth Kansky and his fiance Shadi Dianat of Union City, Calif.
A visitation will be held at Highland Hills, 1660 Jennings Mill Road, Watkinsville from 7pm to 9pm on Friday, January 25th. Burial will take place at Arlington National Cemetery later in 2019.